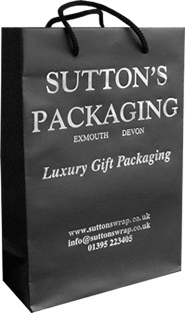 Sutton's Packaging Ltd. offer a range of luxury matt laminated carrier bags with colour coordinated rope handels and base cardboard insert for increased stability. 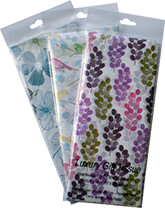 To order in a choice of six popular colours in a large landscape size with outer dimensions of 40 x 15 x 30 cm, suitable for all types of retail products, e.g. fashion, jewellery and gifts. Please see product descriptions for specifications, colours and stock availability.